A few weeks ago I found myself craving fish sticks and thought, “Why in the heck can’t I make them?? ?” Needless to say the store bought were less than thrilling for dinner. I am staying away from all things starch right now so had to come up with something to fry the fish in. You really won’t miss the breading! You can use this mix on chicken for nuggets or fried chicken or zucchini to make zucchini fries. If you want, you can spray them with oil spray and bake them as well. In a food processor, add onion, sage, rosemary, thyme, cayenne, paprika, parsley, salt and pepper and blend until combined well about 1 minute. Add parmesan cheese and blend another 30 seconds. Place cheese/spice mix into shallow dish. In another shallow dish, add beaten eggs. Heat a large skillet over medium-high heat. When oil is hot, dip fish into egg mix and then into cheese/spice mix and into skillet. Fry until golden on each side, about 2 minutes each. Remove to a paper towel-lined plate to drain. 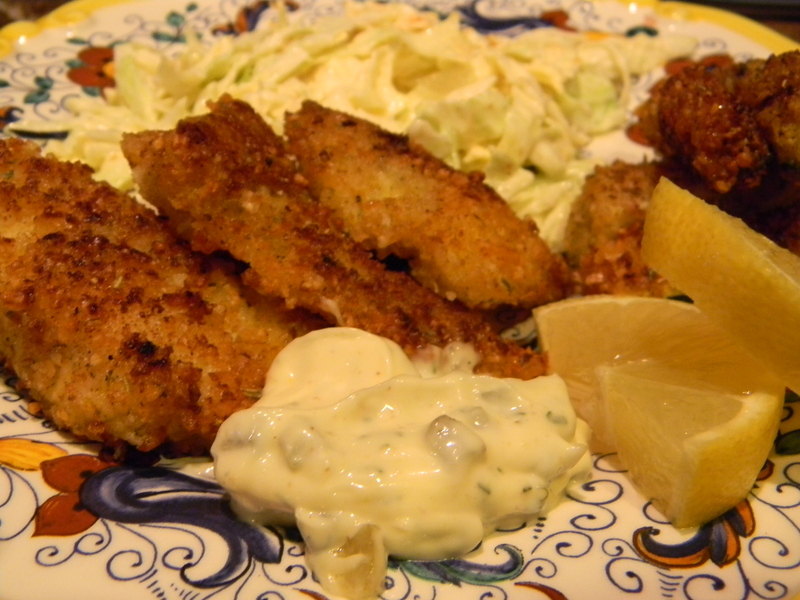 Serve with tartar sauce and lemons. 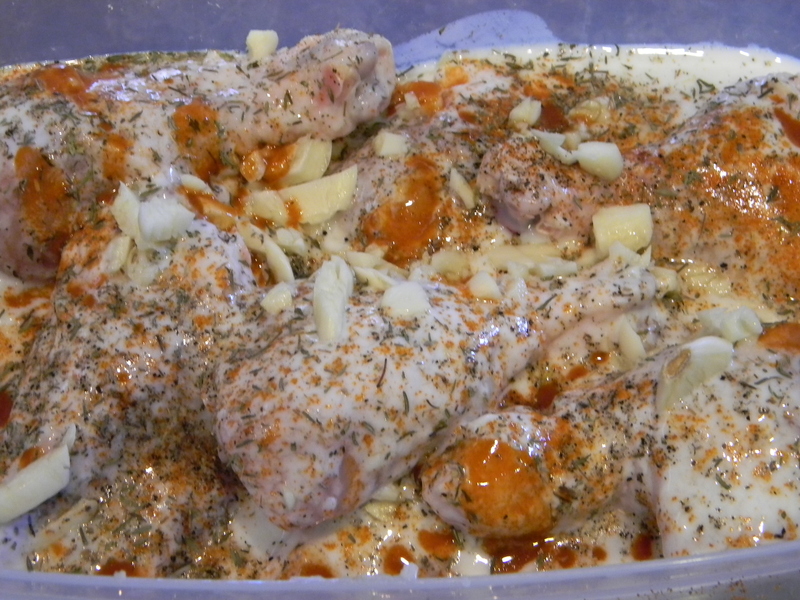 These drumsticks sit in buttermilk and spices for a few hours to overnight to marinate. It makes them super tasty and really moist. They also happen to be a part of my Halloween menu yearly as my “Demon Drumsticks.” I just add a few dashes of hot sauce or ketchup to them for the full spooky effect. 1.) In a large bowl, combine chicken legs, buttermilk, onion, garlic, hot sauce, 1 tablespoon cayenne pepper, thyme salt, and pepper. Cover and refrigerate for 3 hours up to overnight. 2.) Preheat oven to 375 degrees. Place a cooling rack (for baked goods) over a rectangular baking sheet. If you don’t have one, just place drumsticks on a baking sheet sprayed with non-stick cooking spray. 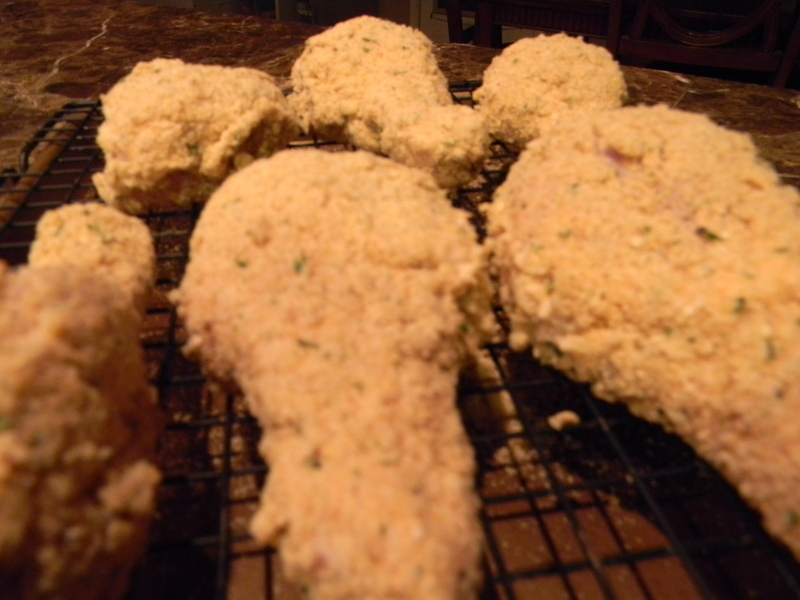 In a large bowl, combine bread crumbs, remaining 1 teaspoon cayenne, garlic powder, parsley flakes, salt, and pepper. 3.) Remove one leg at a time from the buttermilk mixture, letting excess drip off. 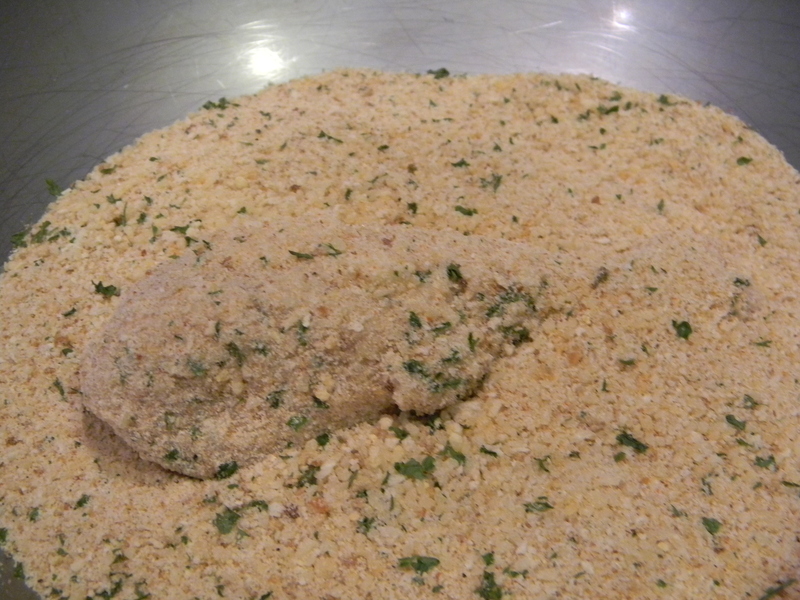 Place leg into bread crumb mixture and coat completely. 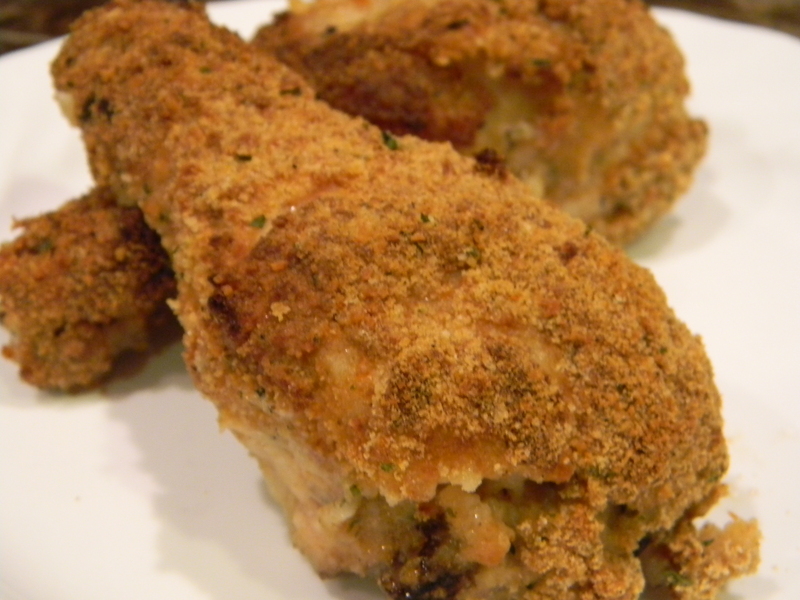 Place onto cookie sheet and spray each drumstick with cooking spray. Repeat with remaining chicken legs. Bake for 55 minutes until cooked through.